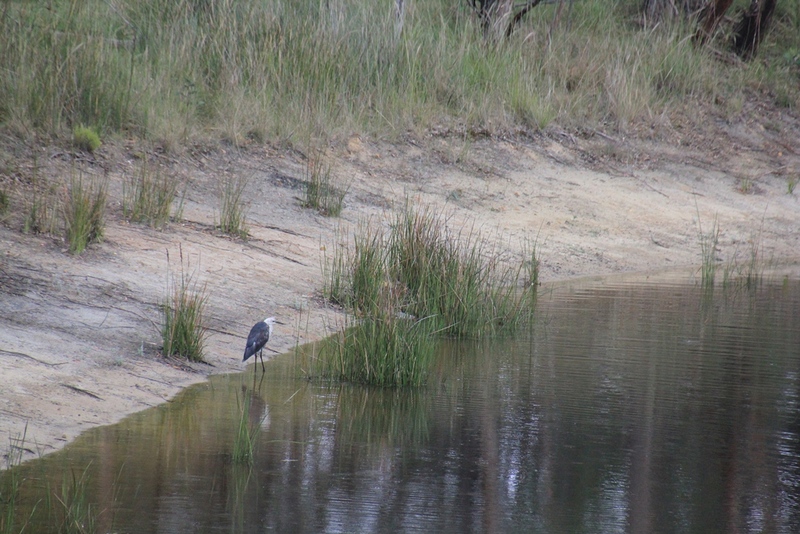 The latest addition to the bird species list is the White Necked Heron. We have one drop in every now and again, but only for an hour or two at a time. 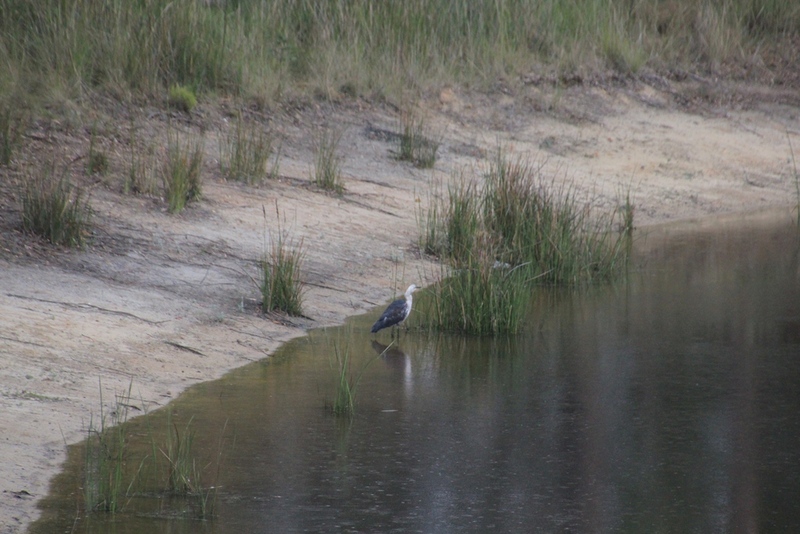 The photos of the herron on the jetty were taken on a differnt day to the images of the heron wading in and among the weeds. 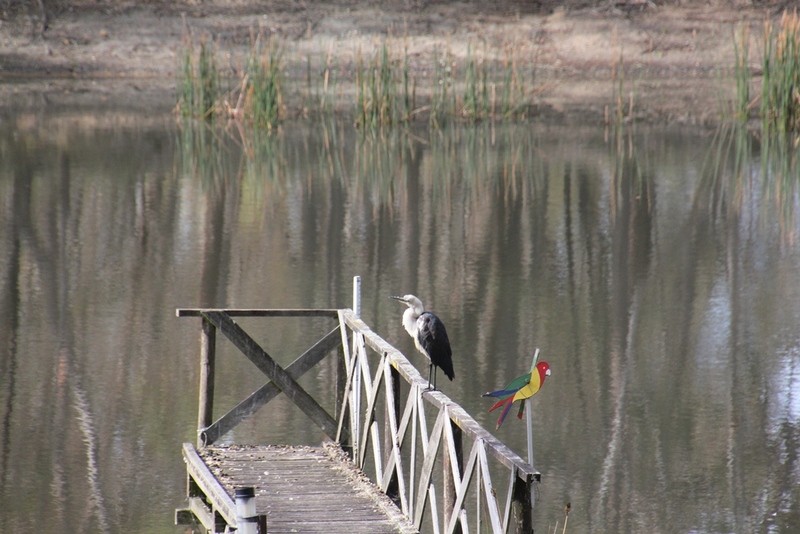 It appears these are different birds, because the wading bird seems to have black spot-like markings on its front feathers (indicating a young or non-breeding bird) while the heron on the jetty has glossy white front feathers. 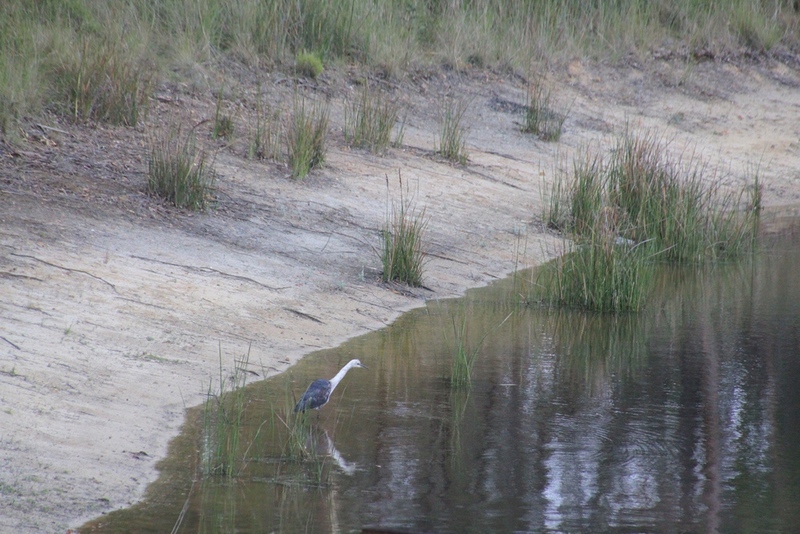 Acording to our field guide, immature and non-breeding White Necked Herons have black spot-like markings on the white feathers on their chest. 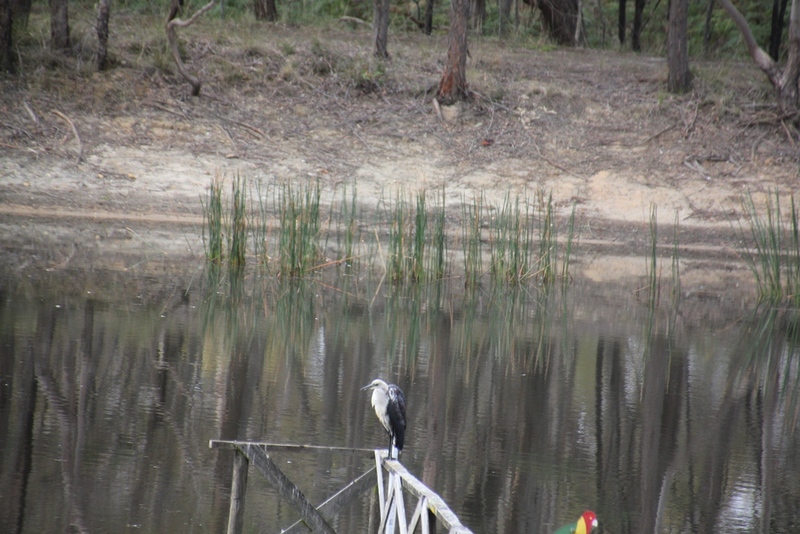 This heron looks to have these markings. 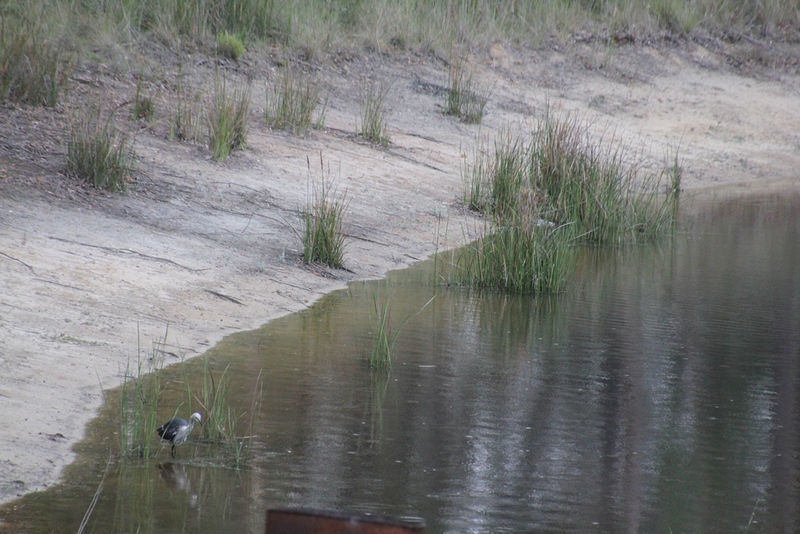 White Necked Heron feeding around the reeds.